Send your comments on the proposed Navy plan to bring more jets to Whidbey Island BY AUGUST 8. Below is an article from the Skagit Valley Herald that has more details. BE HEARD! SEND YOUR COMMENTS! The State Department of Ecology is taking public comments on a proposed increase in jet operations at Whidbey Island Naval Air Station, according to a notice issued Wednesday. Ecology will take comments through Aug. 8. The Navy proposes increasing the number of EA-18G Growler jets at the base, increasing jet operations and bringing in more personnel. The goal is to expand NAS Whidbey’s electronic attack capabilities.The Navy has proposed adding up to 36 Growlers at the base near Coupeville and Oak Harbor. An environmental impact statement, or EIS, is in development for the proposal. An EIS outlines potential environmental impacts of a project and recommends mitigation to avoid or limit those impacts. The Navy released a draft EIS Nov. 10 and took public comment through Feb. 24. The Navy plans to complete a final EIS in the fall before making a decision about whether to move forward with the proposal. Ecology’s role is to determine whether the project meets requirements of the Coastal Zone Management Act under the state’s Coastal Zone Management Program, according to the notice. To comment, email to ecyrefedpermits@ecy.wa.gov or send mail to Department of Ecology – SEA Program, Attn: Federal Permit Coordinator, PO BOX 47600 Olympia, WA 98504. 1. 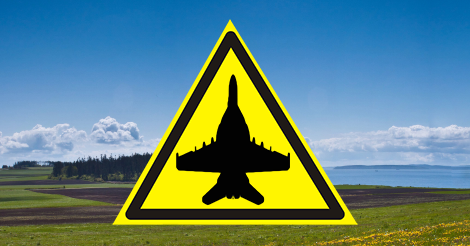 Fuel dumping from Navy aircraft occurs approx. once per month (source Navy pilots). This is a known carcingen. No notification downwind. 2. Federal cleanup sites are yet to be cleaned up. More aircraft and maintenance will likely add more pollution. 3. Ground water pollution from toxic waste including fire suppression materials. 4.Aircraft noise impact on wildlife. 5. Navy aircraft fling below FAA regulations (1000′ above any obstacle withon a 2000′ radius unless taking off or landing). Noise, safety, quality of life impact for this noncompliant activity. 6. Projected global warming and sea level rise: Navy adaptation’s impact upon the environment. 7. Defense from N. Korea ICBM. A strike near Ault Field would have a VERY HEAVY ENVIRONMENTAL IMAPACT! Explain what you’re referring to here. At Coupeville, the aircraft are landing. Also, the Navy has a waiver from the FAA administrator for all other low level operations in MOAS, restricted areas, and military training routes MTRs. So what’s your point? Fuel dumping is a safety of flight requirement covered by the 2005 EA and upcoming EIS. The jets can takeoff at 66,000 pounds but can only land at 48,000 pounds. Fully authorized to dump fuel above 6000 feet AGL without additional approval (reference CNAF-M 3710.7 – the Bible of rules for all of Naval Aviation). This document is the primary rule book for all Naval aircraft and authorizes deviation from the Federal Aviation Regulations Part 91. Fully authorized for military aircraft. Again, what’s your point?